The Crown Estate’s multi-million pound St James’s regeneration focuses on providing commercial space of the highest quality to one of London’s most exclusive locations. The flagship for this ambitious redevelopment is St James’s Market, located to the south of bustling Piccadilly Circus. 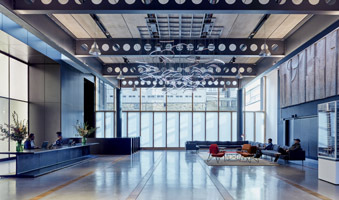 The overall project provides 366,200 ft² of space across two buildings situated between Regent Street and Haymarket and features Waterman’s structural design. 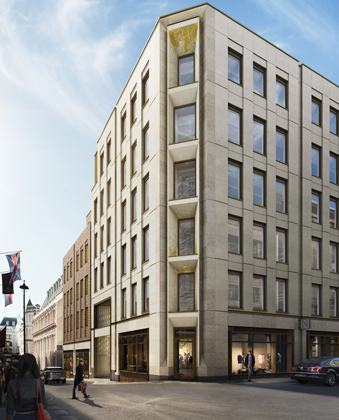 The latest project from the scheme, The Marq, adds a prestigious eight-storey office block to the Crown Estate’s portfolio. Providing 45,766 ft² of prime commercial office and retail space, the Rolfe Judd-designed Duke Street development provides a sizeable boost for this sought-after West End location. The offices set a sustainability benchmark for modern office space, with WELL standard Gold and BREEAM ‘Outstanding’ ratings set to be achieved across its commercial floors. Replacing two older buildings, both now demolished, the project delivered by main contractor, Skanska, extends the existing single basement with the addition of a further level below. This new floor will be utilised by the retail units and will incorporate a goods lift. 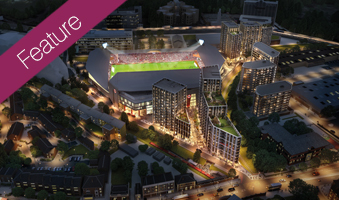 Our structures team, led by Richard Whitehead, developed the structural design and provided technical consultancy to help maximise the potential of this site. 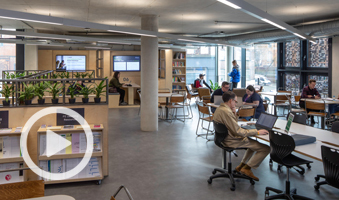 By choosing a value-focused structural design featuring steelwork, the team were able to unlock the maximum available floor space to bring forward the largest possible nett lettable area. The building will feature external terraces on the fourth and sixth floors, a mansard at level seven and is clad elsewhere with a concrete panel system. 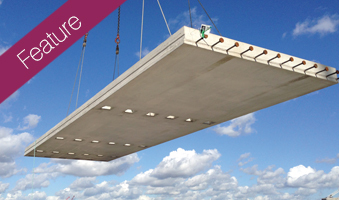 The panels weigh in at 18 tonnes each and are flat-bolted to the steel frame’s perimeter. This cladding system is extremely durable and is designed to utilise the buildings structural steel frame whilst becoming a visual statement, giving the building a striking façade. The steelwork largely begins at basement level one and is designed for space efficiency throughout. Through careful selection of materials, the team were able to manipulate the structural design to yield the maximum useable interior space, providing column-less floorplates. This was facilitated by the choice of column members and by utilising solid billets for perimeter columns over traditional I-sections, the beams will be less intrusive on internal space. These design choices resulted in a significant space saving, internally, increasing the gross internal floor area available for tenant occupation. Completion of the development is anticipated in 2019.